Our February Author of the Month is the amazing Pamela Butchart! 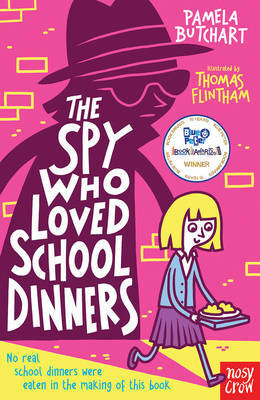 Watch the video to hear all about the real life revolting lunches that inspired The Spy Who Loved School Dinners, AND get a super sneaky peek at Pamela’s plans for her next book! Izzy is really pleased to have been put in charge of the new girl at school. Matilde is French, and Izzy and her friends can’t wait to show her their den and its moth, and to help her avoid school dinners (also known as poison). But Matilde LOVES school dinners and even has seconds! And that’s when they know. Matilde is a spy and she has come to find out their secrets. They must stop her before it’s TOO LATE!! !